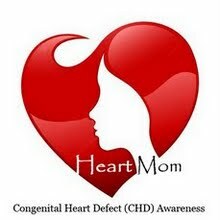 I got a call from Dr. B's (Emma's heart surgeon) office on Friday morning & they have scheduled her for Oct. 28. Yes, we will be going back to Charleston for this surgery & man am I nervous. After I got off the phone with his secretary I cried. Now I know the surgery is totally necessary but I also know its very invasive & a long surgery. The up side is we are familiar with the process, the hospital, the staff & this should be the final surgery. We really don't know what the surgeon will do to repair Emma's VSD's & Dr. O (Emma's cardiologist) said Dr. B may not decide until Emma is actually in the OR. The main goal is to patch the large hole in the apex of her heart & to hopefully patch most of the little holes. There is a possiblity that some of the smaller holes will not be patched but Dr. O said that should not cause Emma any problems + he will be monitoring Emma after we get home Charleston. One of your goals before we go to Charleston is to get Emma a flu shot. Dr. K (her pediatrician) had suggested at her 9 month check-up that she wanted Emma to get one & Dr. O agreed. Dr. O was also hoping to get Emma's surgery done before flu season but she will be in the hospital at the beginning of it so its even more important that she gets the shot. Now I just hope the pediatrician gets them in soon enough. So we would like to ask you to keep us, Emma and the staff at MUSC Children's Hospital in your prayers as we take this journey one more time. Just checked my blog today. How scary that must be - but what a relief it will be when it is over. Just keep me updated!